Talk to a real-world book of your choice through the computer screen. Vandalise it, personalise it, and put its pages through a shredder in a story tackling guilt, responsibility and personal growth. A code-breaking installation with four big buttons, running around and a whole heap of paper clues! 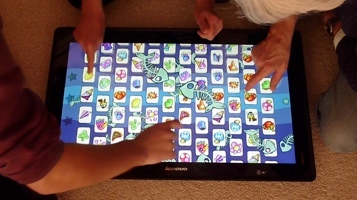 A party game for 2-20 players on one giant touchscreen, where foul play is encouraged! Four player foul play with four monitor and four big buttons! Find your card and bash it before your opponents, in challenges of observation, reflexes and agility! 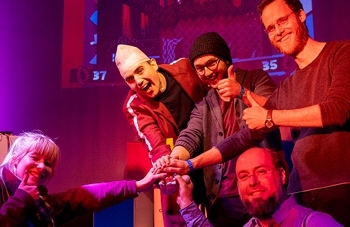 An interactive video game comedy show where you, the audience, take to the stage! Become human buttons, take on the Power Rangers, zap each other with barcode scanners, and play Pac-Man using inflatable toys. 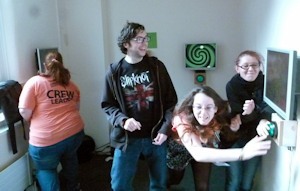 Or sit back, and watch your friends literally become cogs in a hilarious machine! 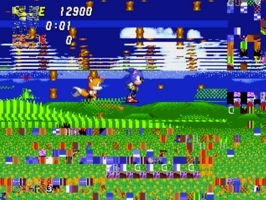 World-renowned genius Doctor Eggman has been hacking Sonic the Hedgehog games in order to create his very own gameshow! Take part in bizarre challenges where data is corrupted as you play, and win delicious hard-boiled prizes! 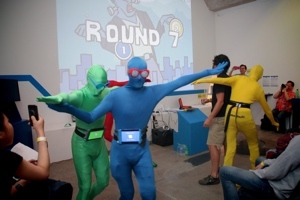 An experimental game for a theatre space, where four morphsuit-clad Power Rangers become human controllers. The game gives the Power Rangers weird and wonderful actions to perform with the audience. 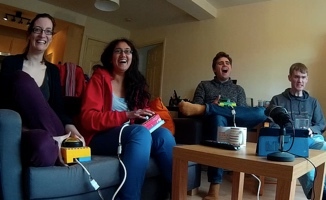 Meanwhile the players must try to operate a game where the controllers literally have minds of their own! Futuristic football on hoverbikes, for two players on a single iPad. Slamjet Stadium is the future's deadliest sport, so physical contact and cheating are encouraged outside the screen too! 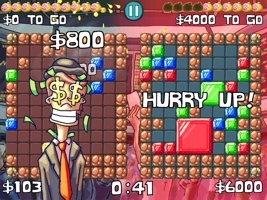 Expanding on its iPhone predecessor, Greedy Bankers vs The World adds in shared-tablet play against human and AI opponents. There is one massive twist: players can reach over to their opponent's screen and steal their gems. Now it's your turn to get greedy! 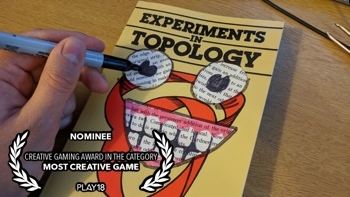 A fast-paced puzzle game that's easy to learn and filled with optimisation strategies and humour. Group gems together and cash them in for big bucks to meet the banker's demands, but watch out for sneaky robbers who'll scupper your plans! The projects in the following section are unfinished prototypes which give a glimpse into the kind of areas Alistair has been exploring recently. A custom controller for Sega Mega Drive, where four buttons are shared between four players, but what the buttons do is randomised every 30 seconds. 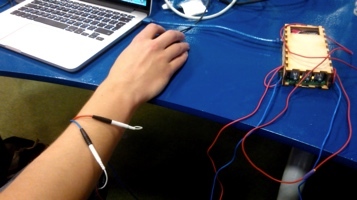 Played, using an Arduino-controlled muscle stimulation unit, this game simulates performing brain surgery on yourself, and requires the player to keep a steady hand in spite of their own muscles twitching unpredictably. Created at the Cité des Sciences in Paris. 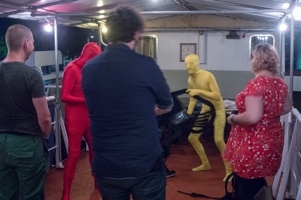 A game for two players, plus one a human in a morphsuit. Players must touch the Homunculus in various parts of its body to find pleasure and pain points. Created at Lyst Summit 2017, it touches on physicality, non-verbal communication and dehumanisation. 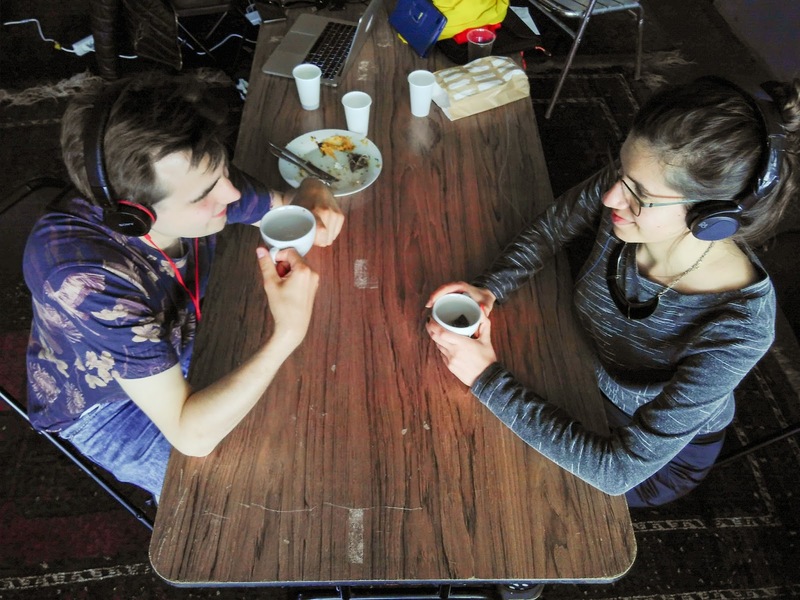 An participatory audio exprience for two people. Following a description from a recording, they must act out instructions directed to them by the narrator. Together, they perform the journey of a couple in a relationship, but each participant has a different perspective on what that relationship is. Created at Lyst 2017.